In the 10 years since our Company's incorporation, our founder, (MS.Ong Wee Wah), has always kept this matter close to her heart. 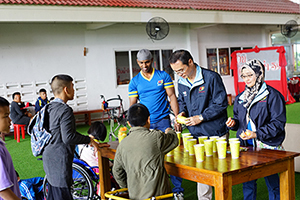 This value has been, through time, permeated to every layer of our staff.Besides serving our valued Customers and ensuring that their needs & expectations are fully met and achieving our Company's financial goals we are mindful of giving back to the less fortunate in our society in some way or another. 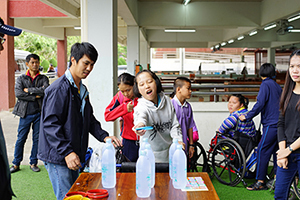 We feel that besides monetary donations, actions and deeds are also very important. 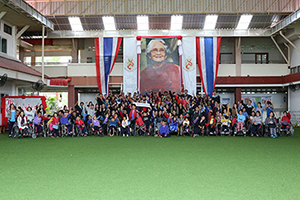 In 2017, during our Company's 10th anniversary incentive trip to Chiang Mai, we visited the Sri Sangwan School which houses approximately 300 children - from kindergarten to secondary school students. 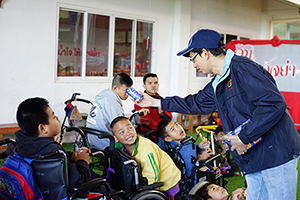 These children suffer from both physical and/or mentally disabilities such as Cerebral Palsy, Spinal Cord Injury, Muscular Dystrophy, Polio, Less of Limbs, Authism, etc. There are about 70 teachers, and 50 staff including administrators, and janitors. 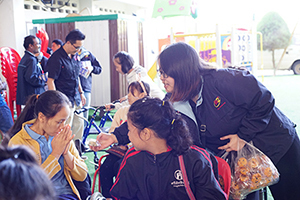 Our W2 staff distributed snacks and drinks for all the children. 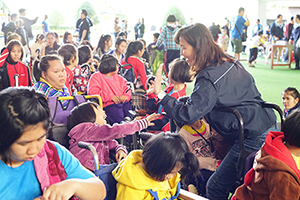 We also organized game stalls where the children enjoyed themselves thoroughly and for the moment they seem to forget any disability they may have. They played with fervor & gusto and were delighted in winning useful prizes like stationeries, game sets, etc. More importantly our staff found the experience thoroughly enriching. There were several pairs of teary eyes, among our staff, when it was time to say good bye...It is true that money cannot buy such joy and fulfilment.